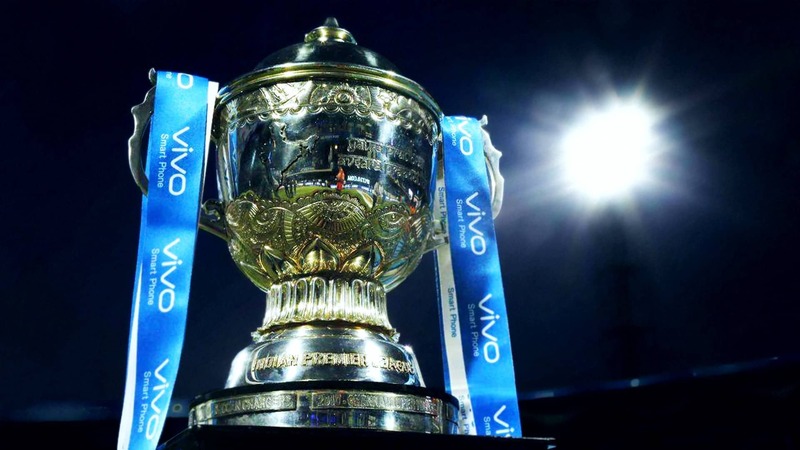 The Indian Premier League (IPL) is India’s principal annual cricket tournament. 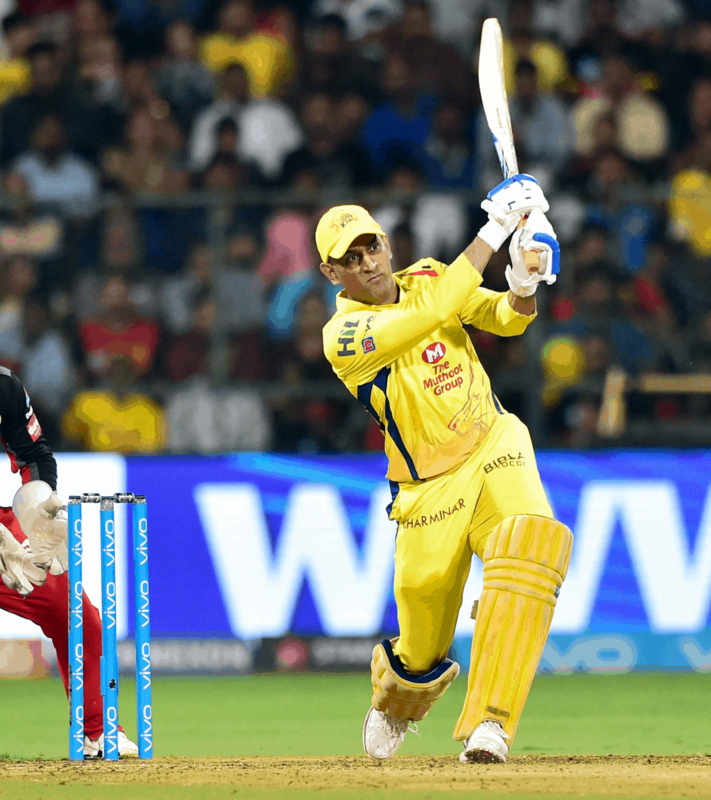 Attracting over 700 million viewers over the course of 2 months the IPL is the biggest sports property in the country, aired both nationwide and globally. 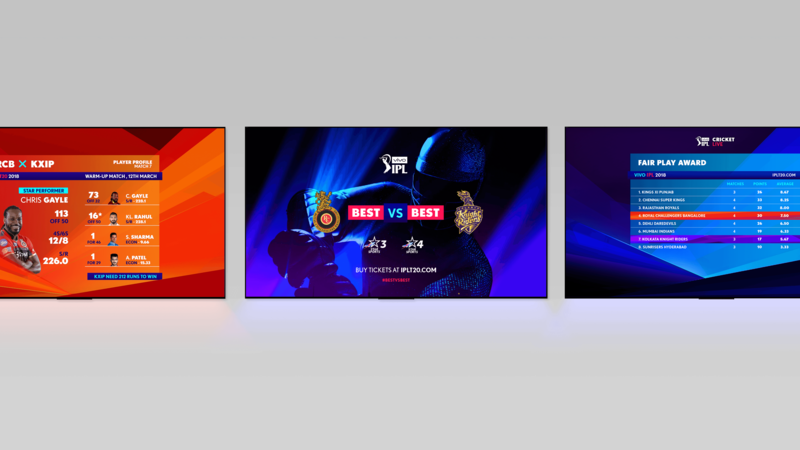 For the IPL tournament the best cricket players from across the world come together in 8 teams, playing a fast and sensational tournament format captured in the property tagline: Best vs Best. 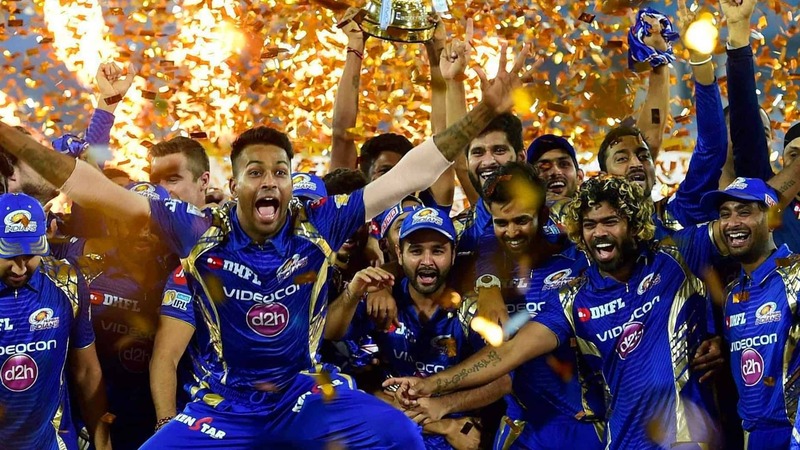 Acquiring the IPL broadcasting rights was a huge milestone for the Star Network. 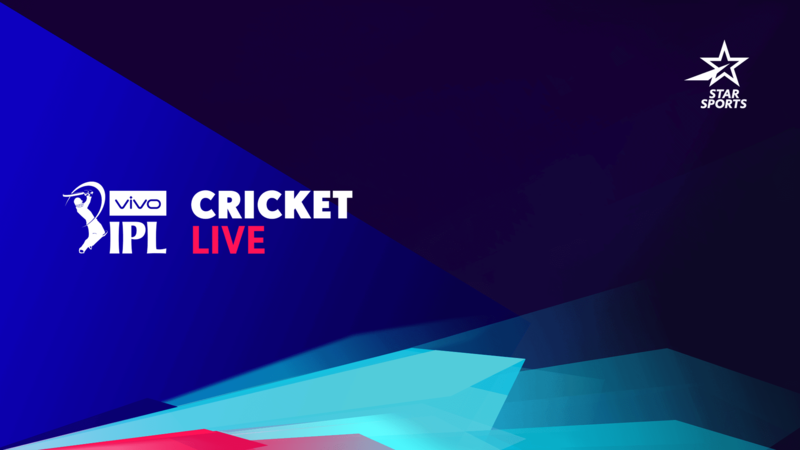 Our job was to take the newly developed broadcast format ‘Cricket Live’ and turn it into a celebrative and entertaining identity. 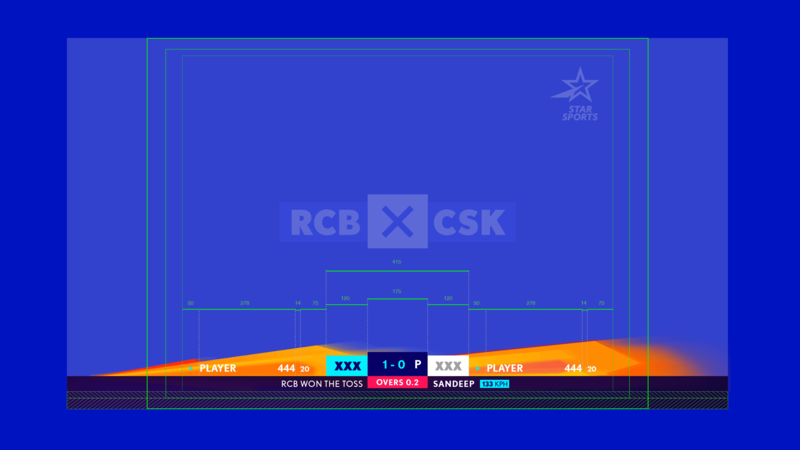 The rich history of the IPL as well as the Star Sports identity were to be leading in the development of Cricket Live Broadcast Packaging. 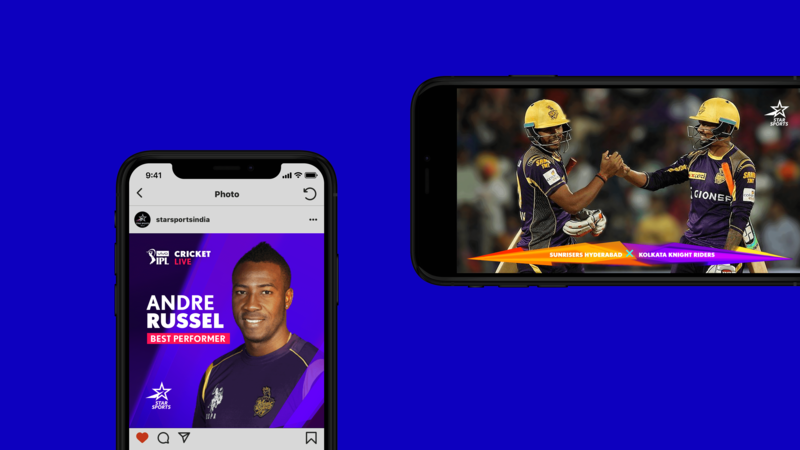 As this was the first time that the IPL was broadcasted by Star Sports, the ambition was to focus mainly on the IPL fans, not dismissing the tournaments legacy while also staying true to the Star Sports brand. 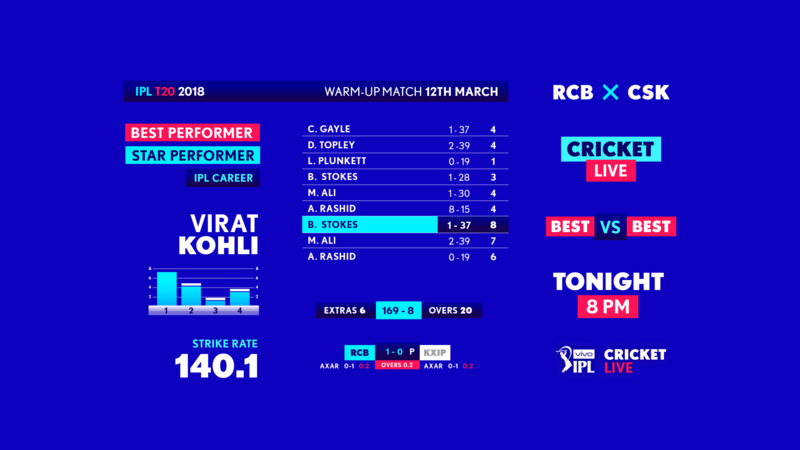 Inspired by the ‘best vs. best’-narrative and the ambition of Star Sports to celebrate the love of the game we focused on customizing the design system to facilitate fan ownership. 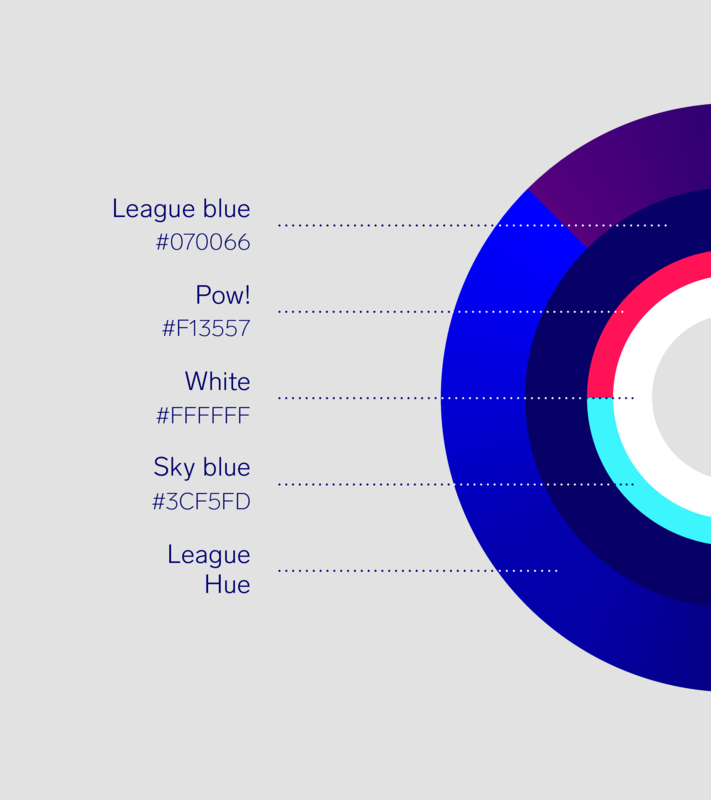 We created a dynamic, impactful identity in which graphic, motion and sonic design were developed simultaneously into an all-encompassing visual language. 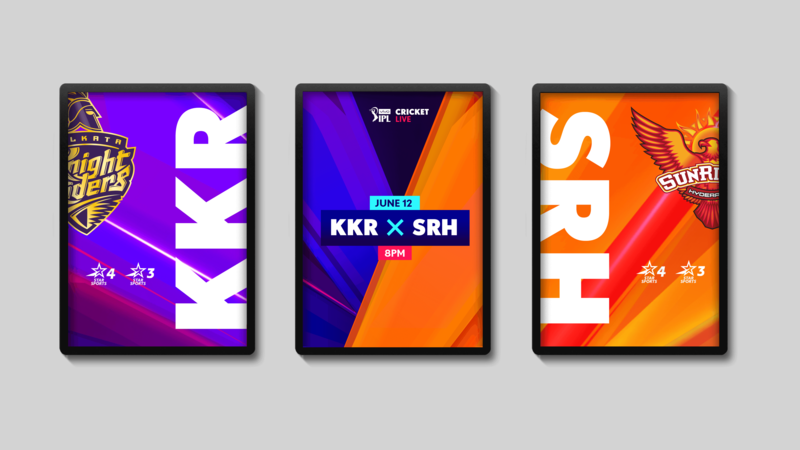 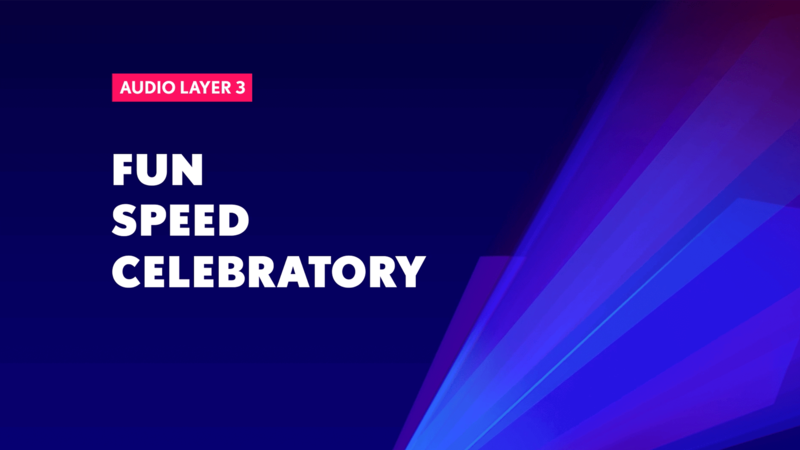 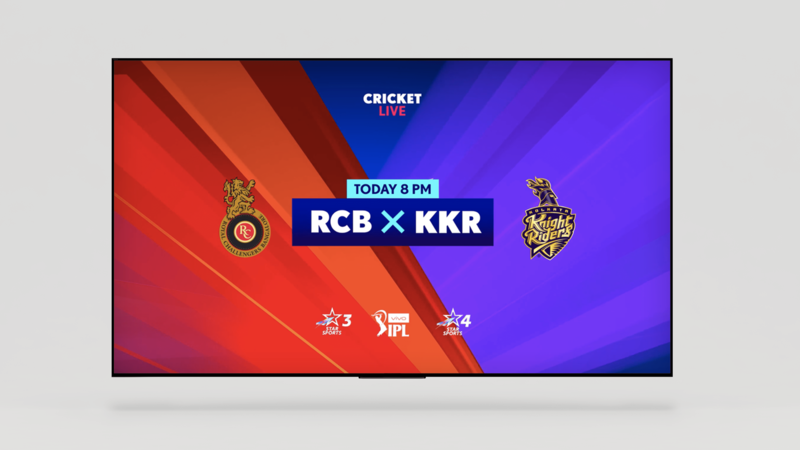 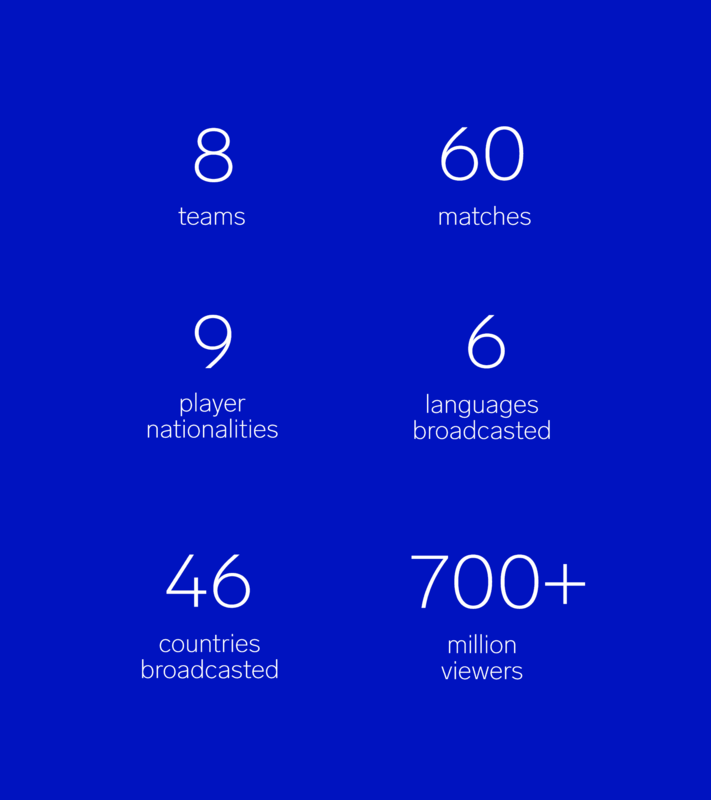 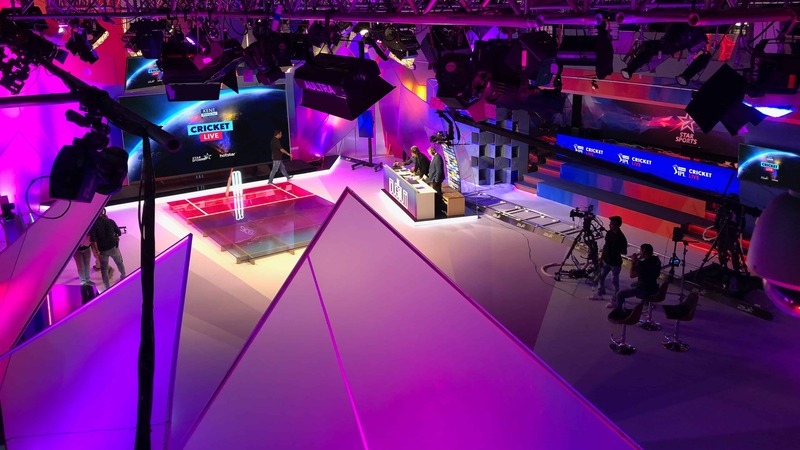 With this extensive broadcast identity package, StarSports introduced the 'Cricket Live'-format in 46 countries, reaching over 700 million viewers across the world.